If you’re travelling to Czech Republic with luggage, let My Baggage help take the stress away from your travels. Our service offers those travelling to Czech Republic the opportunity to travel luggage – free and save money by doing so. We pride ourselves with having top customer service, so if you are considering booking with My Baggage but have a few questions you want answered, get in touch! We will be more than happy to help. 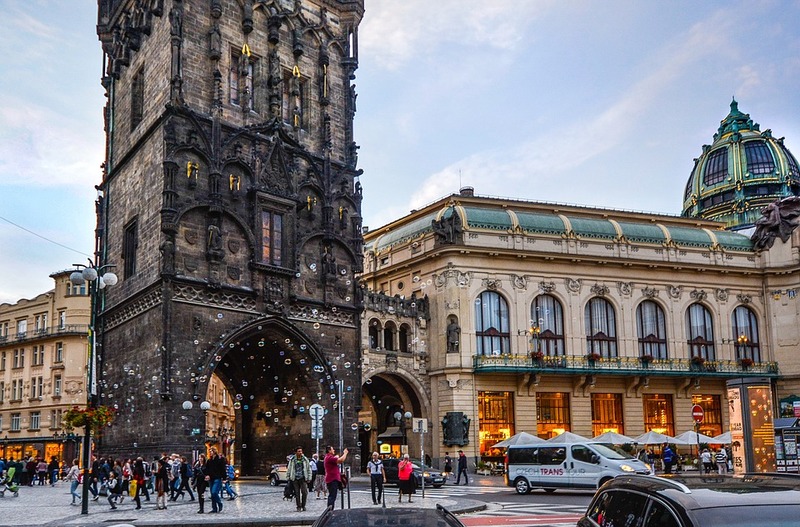 Czech Republic is situated in Central Europe with a large population of over 10 million. Tourism in Czech Republic is growing and this is said to be because it is enriched with history and strong architecture. During wartime, the country was never bombed which means there’s many mid evil towns and villages still standing, which represent what Europe was once like. The country also has 12 UNESCO World Heritage sites which understandably adds to the high levels of tourism. Czech Republic isn’t just a hit with tourists because of it’s magical towns but also the food and drink it has to offer and best of all? Most things are priced low, meaning visitors can get much more for their money. 1. Charles Bridge – If you’re heading to Prague, a popular place to visit is the famous Charles Bridge that crosses over the stunning River Vltava. This bridge was built in Prague in 1357 and spans a massive 520 meters. It’s extremely popular with tourists, when you pass here you’ll see many people studying the statues on the bridge and taking pictures of the famous site. This bridge became a popular area as it is the connects the old town to the castle which encouraged trade from locals and nationals many years ago. 2. Prague Old Town Square Clock – Prague’s old town square is a must see for those staying in Prague. The buildings here each have their own unique story behind them. In particular, near the old town hall there is an astronomical clock. This clock attracts tourists every hour when it displays the date and the twelve apostles in motion. 3.Adršpach-Teplice Rocks – When you visit the Adršpach-Teplice Rocks, you’ll be stunned with your surroundings and the views. These rocks are located in the region Bohemian Switzerland, this region got its name for it’s resemblance to Swiss landscapes that make it a picturesque dream. 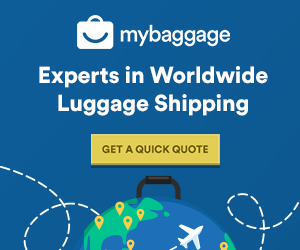 With a little helping hand from My Baggage, shipping luggage really couldn’t be easier! We are experts in shipping luggage to Czech Republic, so you’ve nothing to worry about. Our online booking system is super easy to use and if you ever need help or advice before, during or after using our service, we have a brilliant team of customer service agents. They’re here to help make the process as easy as possible for you, you can contact them via phone, email and online chat. Shipping luggage ahead of travel saves you a lot of time and means you don’t have to carry heavy baggage around with you when travelling. My Baggage offers door to door shipping for all bookings, meaning you don’t have to find any drop off points when arriving in Czech, your luggage will be delivered directly to the home/hotel you are staying in. We also understand that regardless of your reason for travelling abroad, it’s expensive no matter what. That’s why we like to keep our prices low to make our customers happy and likely to enjoy their time abroad a little more! If you are needing to ship larger household items such as beds, sofas ect. we highly recommend using removal companies as they specialise in dealing with larger items that cannot be sent on our services. Wanting to take your bike to Czech Republic but not sure how to get it there? Let My Baggage take care of things. We can ship your bike directly to your destination in Czech Republic at a low cost. Please not: Your bike must be dismantled and placed within a strong, double/triple walled cardboard box for your shipment. We also recommend you to ensure your bike is packed securely both internally and externally. Bubble-wrap and newspaper are a popular material to use for cushioning the inside of the box to minimise the chance of damage to bicycles. If you’re heading to Czech Republic to play your instrument for others or simply, want to have to bring it with for a holiday, a year abroad or indeed, to relocate then ship it with My Baggage. We offer fantastic prices for shipping your musical instruments to Czech Republic which will mean you don’t have to travel with it weighing you down and making you anxious in case something happens to it. If you already know or think that your bags will exceed the size and weight restorations of you airline then you know you’ll have to pay expensive excess baggage fees. Why not ship your luggage instead? Using My Baggage for oversized items can be the cheaper option and best of all, our door to door service means it’s super handy for you as you really don’t have to do very much at all! We recommend using either suitcases or strong, double walled cardboard boxes or a mixture of both when you ship your personal belongings with My Baggage. We advise you not to use fragile or expensive suitcases, as they are not covered by our compensation cover. To protect from damage, we also recommend that you tape over any handles. If you plan to use cardboard boxes, we recommend you to invest in a new one that is double/triple walled as it is likely to be sturdier. If your shipment includes any fragile or delicate items, we recommend packing it securely inside with materials like bubble wrap and newspaper ect. When you ship from a country within the EU to Czech Republic, goods will not pass through customs clearance and therefore are not subject to import tax or duty. If you are shipping to Czech Republic from a country outside of the EU, due to legal requirements, you must complete and attach a customs invoice to your shipment before collection. Our shipments generally clear customs in a timely manner, free from duties and taxes, as most countries offer a generous duty-free allowance for personal effects. However, My Baggage has no control over any customs decisions made so we do advise you to take your time to research into Czech customs and quarantine before booking your shipment. When you ship your personal belongings with My Baggage, you can pack almost everything you would find in a typical holiday suitcase. However, for security and customs reasons, there are certain items which are prohibited and cannot be carried on our service; as is standard with most shipping companies across the world. We also have a number of items that you can send on our service but are not covered under our compensation cover and will be sent at your own risk. Please note: Security regulations differ around the world. We advise you to research the prohibited items in your destination country before booking with My Baggage. Booking with My Baggage is quick and simple! Once you make your online booking, we will send you some labels that you must secure onto your items. A driver will then collect your items and deliver them to your destination. Start by getting a quote today!